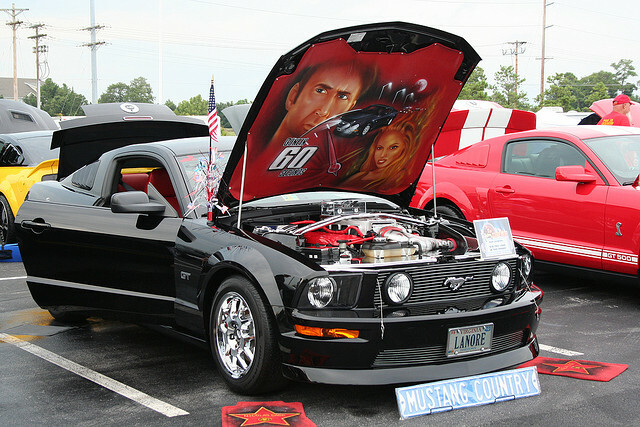 Throughout film and TV history, there have been many cars and vehicles that will stand the test of time and have a special place in many fans’ hearts. Such was the same for me growing up and it still stands as new movies and TV shows immortalize a character’s vehicle to this day. I’d like to break down some amazing cars that are my favorites that I had the pleasure of seeing on the screen. These lists of cars are my personal favorite from movies and shows I’ve seen. The first car on the list was driven by none other than the “greatest actor alive,” Nicholas Cage. Okay, the “greatest actor alive” gag even made me laugh while typing, but nonetheless, his performance in Gone in 60 Seconds was magnified ten-fold by the wonderfully coordinated chase scene with him, the cops, and Eleanor. Eleanor, of course, is the 1967 Ford Mustang GT500. This car was truly a design ahead of its era and this movie is the single reason why I fell in love with Mustangs at 12 years old. Eleanor was an amazing combination of speed, ferocity and color. The black stripes complimented the gray body so perfect that I cringed the moment it was crushed by a claw crane in the movie. Rest in Peace Eleanor. 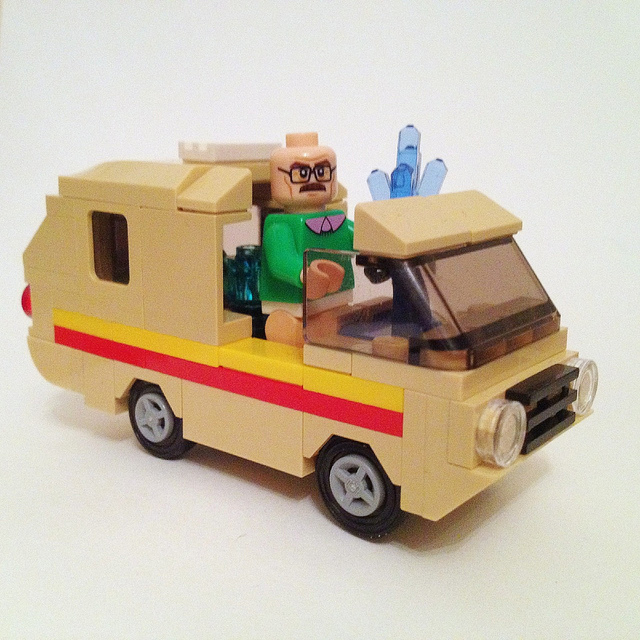 Next up on my list is the mobile meth lab van made famous by Walter White and Jesse Pinkman from the hit AMC TV show Breaking Bad. Who would have thought that a Fleetwood RV could have a broad term for “Recreational Vehicle” that included the occasional meth lab, or” death trap,” if you’re unfortunate enough to get a dose of mustard gas from “Heisenberg” himself. Either way, I think it’s hard to forget this vehicle considering we will always have that image of Bryan Cranston in his underwear next to it burned into our minds. Who said orange is a terrible color for a car? Well, it may be, but never for a 1969 Dodge Charger. Anytime you hear someone say The Dukes of Hazzard, you instantly picture General Lee. 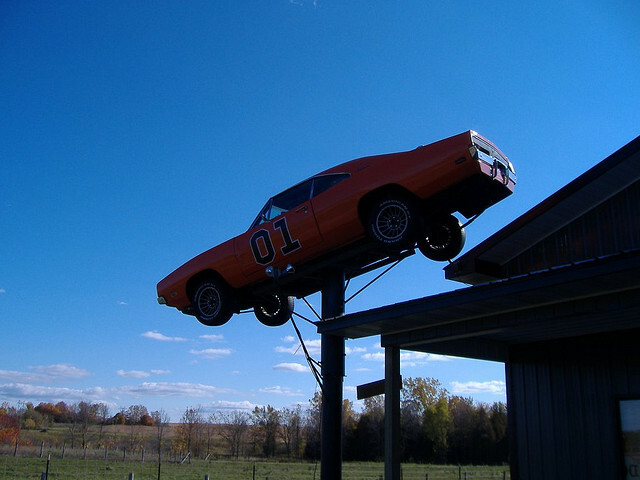 General Lee is the car that was driven by the Duke boys to cause all kinds of trouble in Hazzard County. Apart from the Hemi Orange color, the charger rocked the number “01” on each door with a flag on the top represented the South. Oh and did I mention the doors didn’t open. Great Scott!! Who can tell me the car that has a stainless steel body, gull wing doors, the ability to fly (sometimes), has a flux capacitor, and a Mr. Fusion? 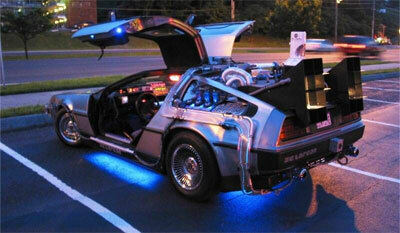 Well, unless you’ve been living under a rock the past 30 years than you know I’m talking about the DMC-12 De Lorean from the Back to the Future trilogy. This has to be my favorite movie car growing up. It’s such a shame this car brand went out of business because of an owner scandal because this car had the potential to be right up there with Ford, Dodge and Chevy as a staple of American ingenuity. 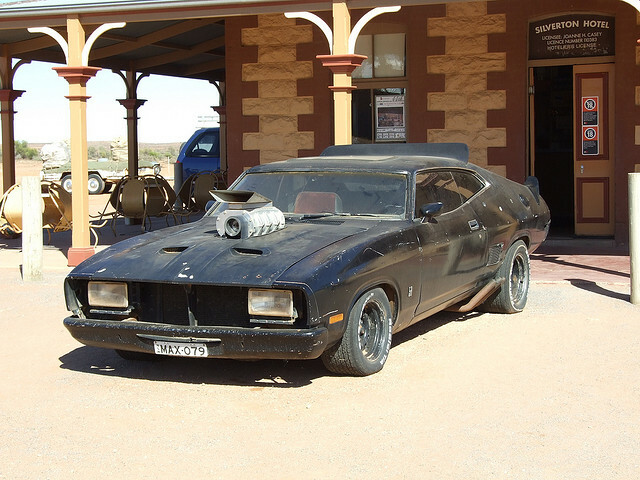 Last but not least we have the road warrior himself, Mel Gibson’s classic 1974 Ford Falcon Interceptor from Mad Max. In a post-apocalyptic Australian world where gasoline is more precious than gold and crazy dudes in hockey masks and assless chaps are trying to kill you, than an 8 mile per gallon V-8 beast with a ridiculous super charger seems to make the most sense. I mean even if a Prius did exist in Mad Max’s world, he’d still choose the biggest gas guzzler on that country/continent. Still the most badass car you could ask for if you want to chase down assholes on bikes for killing your family. I also think his double-barreled shot gun was a great addition to the interior of the Interceptor to. Now I know there are plenty I’ve seen that I left out but these, to me, are my favorite. 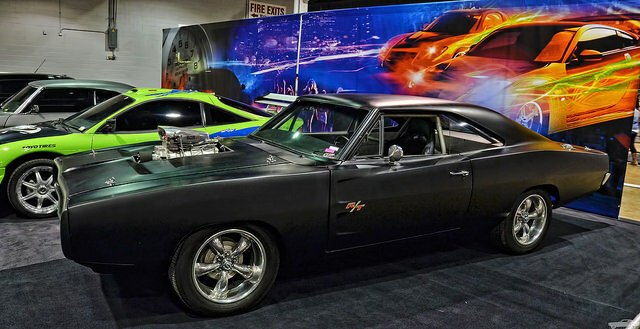 What are some of your favorite movie cars and why?